AU 2017 is history. Now we have to go back to work and make what all we learned happen. If you have only a passing familiarity with AutoCAD Civil 3D in any release, you know that Templates that Work in Civil 3D are far easier said than done. Autodesk supplies some example templates that are useless in the real world. The Autodesk Myth about customization claims you must build your own from scratch. That’s fake news and marketing spin. There is much more to civil engineering and survey production and publishing Civil 3D templates and a useful Civil 3D Styles library than a few customized parts. Civil 3D is built and programmed by design and concept to work as an integrated system with a rich set of resources. Our real world civil engineering projects require considerable breadth and depth of nuanced detail from that set of resources. We must evaluate and analyze, design and QAQC, and publish the finished project. These are not the same thing. The Framework for Civil 3D is built to deliver this necessary and more complete working production environment to everyday Civil 3D users. The Framework is a whole product. You only need to change details if you want to. The Framework is a managed systems product that delivers all the necessary and optional resources and the tools to help you deliver the goods to real world clients and customers. We all need Civil 3D templates. We all need the rich Civil 3D Style tools and libraries. We need the tools to better manage and maintain the integrated system and many working parts. We don’t need another expensive piece of software to do that. The short and stunning video demonstrates how the Framework’s managed system and adaptive approach to Civil 3D Standards can deliver nigh-to-impossible results. Try Templates Only. This InstantOn desktop overview video provides a reasonable peek at the basic resources available in all the Framework for Civil 3D products. There are detailed Overview Videos walk-throughs available here. Last but certainly not least, Civil 3D is getting better, deeper, and changing in some fashion almost all the time. About the time you get one release implemented the next release is sitting there with new features that it might be really profitable for you to be able and ready to use. 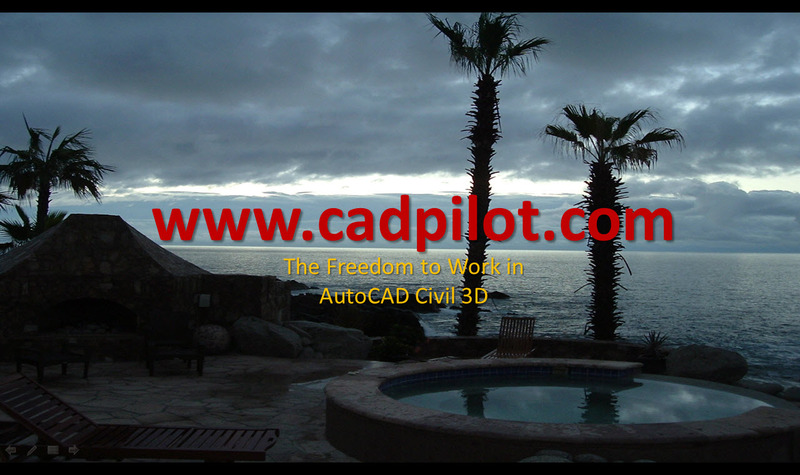 The Framework always supports multiple releases of AutoCAD Civil 3D. We guarantee that one release of a Framework product will work in the next release. We’ve lived up to that promise for more releases of Civil 3D than you can count. People can be confused. Upgrade compatibility does not mean the Framework doesn’t change or improve release to release. Here is the huge list of Release 7 Detailed changes. No one has ever complained that a Framework update or new release failed to deliver a better production Civil 3D. Last month we delivered Release 7 update builds for the Framework for Civil 3D 2018.1 or the Framework for Civil 3D 2017.